There are many mysteries still left in the human body, and chronic pain and stress lead the pack. These conditions are especially frustrating to deal with since the cause-and-effect relationship isn’t an exact science and affects people differently. The branch of medicine that’s coming closest to finding the key is chiropractic care. 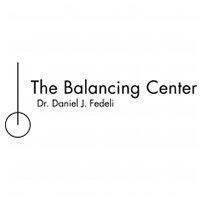 At The Balancing Center in the Gold Coast area of Chicago, Daniel Fedeli, DC, PC, and his team have devoted their professional careers to helping their patients overcome chronic pain and stress by rebalancing their bodies and improving natural flow for healing. If you want to find answers for your chronic pain or stress, call the center or book an appointment online. In its simplest definition, chronic pain is any pain that endures for three to six months or more. And that’s where the simplicity ends. This broad term describes pain with no origin, as well as clearly visible causes, and everything in between. And how the pain presents itself can range from dull and throbbing to burning and shooting. The pain can come and go, or remain a constant companion. Everyone experiences some stress in life. In fact, a little bit of stress is a good thing because it allows your body to react appropriately with heightened awareness and energy to carry you through. Where stress can become a liability is when it builds up without being released properly, or when your body overreacts to everyday stimuli with a stress response because it’s been conditioned to do so. Chronic pain and chronic stress often go hand in hand, with one often begetting the other. What are the treatments for chronic pain and stress? Using The National Upper Cervical Chiropractic Association, or NUCCA, technique, your doctor applies gentle, controlled contact on the first vertebra in your neck to restore balance to your spine. The effect of this correction influences the entire spine and all of your body’s systems because of the vertebra’s position between your brain stem and central nervous system. The Bio Energetic Synchronization Technique, or BEST, “unclogs” your body’s natural healing systems to flow more freely and get to the areas where you need the healing. The Neuro Emotional Technique, or NET, is specifically designed to find and eliminate conditioned stress responses in your body. Since stress triggers chemical, neural, and physiological responses, the doctor closely monitors your body’s reactions in order to find out what’s causing that conditioned response. FMP, or Foundational Movement Practices, are a series of exercises that correct your posture and alignment, which help your body to function without pain. On top of these innovative therapies, the doctors recommend maintaining a healthy lifestyle through exercise and yoga to ward off pain and stress. If you’re plagued by chronic pain or chronic stress, the doctors at The Balancing Center can help. Call or schedule an appointment online to learn more.